From the 1930s, the Communist Party of New Zealand (in line with their 1936 resolutions) and constant prompting by Moscow, tried to recruit Maori and infiltrate them into positions of influence in Maori organisations. Party General Secretary, Leo Sim (grandfather of well known libertarian, Lindsay Perigo)told the 1935 Comintern Congress that "Maori are very sympathetic to the Party." According to Kerry Taylor in "On the Left" p 109, in 1936, the CPNZ was very proud that two of their Otaki branches three members were Maori. A Frank Parata was on the Otago CPNZ district executive in the '40s and small numbers of Maori were recruited in Canterbury, Wellington, Napier and Auckland. At one point in the '40s, there was even an independent Maori branch in Wellington. Other prominent Maori, such as "Princess" Te Puea, were targeted in the hope of influencing their activities to the Party's advantage. Below I profile four Maori, two definite members of the Party and two who were at least sympathetic to some of the Party's aims. The Reverend Maharaia Winiata Born in 1912, near Ruatoki, "Maha" Winiata was marked for leadership at an early age. In 1935 he enrolled at Auckland University College and in 1937 he concurrently began studying for the ministry at the Methodist Theological College. In 1942/3 Winiata attended Auckland Training College where he became president of the student's association and editor of the student magazine, "Manuka". According to the Dictionary of NZ Biography "in 1946 he was appointed master, and later first assistant, at Wesley College, Auckland, and at the end of that year gained a diploma of education from Auckland University College. He was particularly concerned about Maori education levels, the general lack of employment opportunities other than in labouring jobs, and the racism Maori frequently encountered. He also wrote and spoke at hui throughout the country about violations of the Treaty of Waitangi and the problems that resulted from confiscation, the need for better housing, and, above all, the importance of education. In 1949 Maharaia, "was appointed tutor/organiser for Maori adult education. He was responsible for setting up classes and learning centres from North Auckland to Christchurch. Maharaia sought the support of Te Puea Herangi and King Koroki at Ngaruawahia to begin this new work in the Waikato/Maniapoto district. 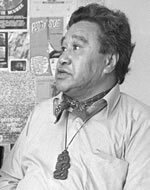 In the early '50s, Winiata travelled to Edinburgh to study social anthropology, where he was the first Maori to earn a doctorate outside NZ. "He also attended an anthropological and race relations seminar in Liege, Belgium." Back in NZ, Winiata became secretary of the Maori King's council and a member of the Maori section of the National Council of Churches. Although he was a rugby enthusiast, he opposed visits of the All Blacks to South Africa because of the apartheid regime. He travelled to America, the Philippines and China to visit universities, communes and child care centres, and to the Tibetan borders to find societies comparable to that of the Maori. Maharaia Winiata died suddenly at Tauranga, aged only 47, on the 6th of April 1960. The Communist Party's "Peoples Voice" of 13.4.1960 printed an interview with Winiata on his Chinese trip. He said he was "deeply impressed by the policy of the Communist Party of China towards the National Minorities in that country" He added that "In China the voice of God is heard through the mouth of Mao Tse Tung'. Paul Potiki A WW2 veteran, Potiki was a prominent member of the Communist Party in Wellington in the '50s. He worked for many years in the Department of Maori Affairs, was a vice President of the Public Service Association and secretary of the Ngati Poneke Maori Club. While very active in rugby circles, Potiki was in the late '50s active in setting up the Citizens All Black Tour Association's Wellington branch, to oppose rugby ties with Apartheid South Africa. In 1971, Potiki was elected to the Presidency of the Maoist led, NZ Race Relations Council. He told the Press that the Maori radical group "Nga Tamatoa" was bringing Maori grievances into the light, and "these grievances, you must remember,, are those of all working-class people, and of course this includes most Maori people." Hone Tuwhare Recruited into the CPNZ in 1942 while an apprentice at the Otahuhu Railway Workshops, Tuwhare was active in Party fronts such as the Peace Council until he left the Party in 1956 over the Soviet Invasion of Hungary. While developing a career as a dramatist and poet, he remained active in socialist politics. In 1973 he rejoined the CPNZ and the same year was one of five Maori and Polynesian activist delegates to China and Mongolia to study how minorities were treated in the People's Republic. The same year, Tuwhare organised the first Maori Writers and Artists Conference, which developed into a very radical organisation. In 1975 he was one of many active communists involved in the Maori Land March on Parliament. Tuwhare left the CPNZ again in 1978, but still remained on the left. In 1988 Tuwhare and another former CPNZ member, Tom Poata were commissioned to write six Maori dramas for TVNZ. Matiu Rata I believe, one time Labour Cabinet Minister, Matiu Rata was a member of the Communist Party from the late '40s to at least 1951. Rata was very active in union affairs at the Otahuhu Railway Workshops and in the Seaman's Union, both hotbeds of CPNZ activity. As a talented young Maori unionist he would have been a prime target for recruitment. Certainly, those who should know thought he was a communist. In 1992, the Auckland branch of the late Bill Andersen's, Socialist Party of Aotearoa, wrote to the local CTU May Day Committee regarding holding a function for all former employees of the Otahuhu Railways Workshops. The letter, reprinted in SPA News, November 1992 Page 12, stated "The Shops has been the venue of much communist and progressive activity for many years and was the forum for debate and activity by long serving communists including George Jackson, the late Len Reid, Terry Knobbs, Steve Hieatt, Ray Gough, Doug McCallum, Mike Reddington, the late Tom Gale, Matiu Rata and many others." Matiu Rata joined Labour in 1951 and a few years later became the MP for Northern Maori. In the '60s, Rata was very active in the Citizen's Association for Racial Equality, the leaders of which almost all came from socialist/communist backgrounds. 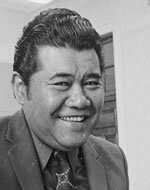 In 1975 Matiu Rata wrote the legislation which set up the Waitangi Tribunal, to examine historic Maori land grievances, while he was as Minister of Maori Affairs. Was this connected to the "Government Commission composed of equal Maori representation to investigate all land questions considered in dispute by the Maori people nationally" agreed to as part of the Communist Party prgramme back in 1936? "Was this connected to the "Government Commission composed of equal Maori representation to investigate all land questions considered in dispute by the Maori people nationally" agreed to as part of the Communist Party prgramme back in 1936?" - I'm glad to see even communists can add something constructive. The European Union, A New Soviet in the Making? Tamil Tigers and the "National Question"
What is the World Social Forum Movement?